Richard Sovenki was captured on video calling a group of Spokane teens "half-breeds." The message from an Idaho jury has been received loud and clear by people of color — you're not safe in North Idaho, says Jose Ceniceros. Ceniceros led a Spokane church youth group to Coeur d'Alene last summer only to have Richard Sovenski, a 52-year-old Hayden man, hurl racial slurs at him and the teenagers at a local McDonald's. 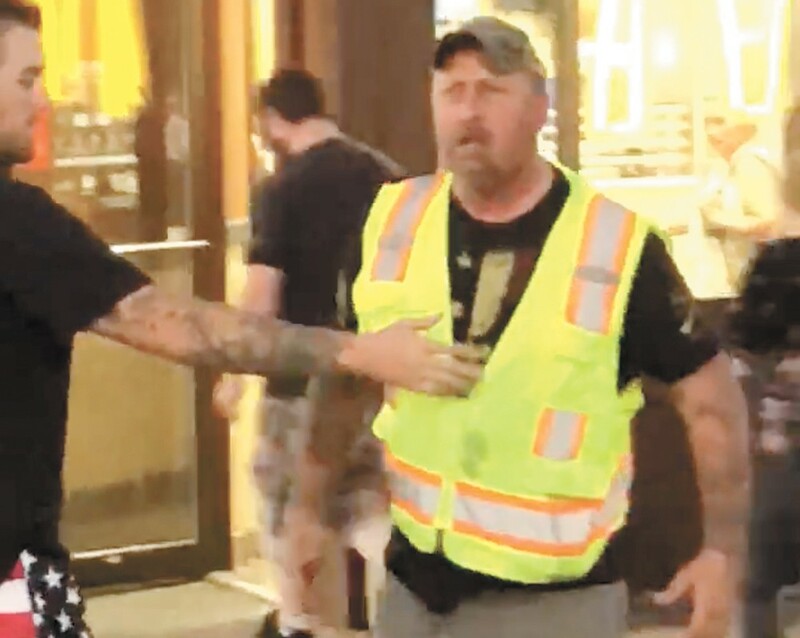 The July 12 incident was captured on a video that went viral around the globe, but on Dec. 20, a Kootenai County jury found Sovenski guilty of committing misdemeanor battery but not felony malicious harassment, a hate crime. "Justice was not at all obtained," Ceniceros tells the Inlander. "There's video tape of him doing it and they let him go." He adds that the verdict shows that the justice system won't serve people of color fairly if they do encounter bigotry and wish to pursue charges in the courts. "If you're a person of color, you can't go to Idaho because something like this might happen," Ceniceros adds. "I think it sends a clear message that a person of color [should] think twice about going to Idaho because you're going to be treated differently." Tony Stewart is secretary for the Kootenai County Task Force on Human Relations — an anti-racism group that was formed in 1981 — and he has a slightly more positive spin on the case's outcome. "There was a conviction for the battery and that's important and that sends a message," Stewart tells the Inlander. "Of course we agree with the prosecutor's charges, all of them, but we do have to recognize our system and how it works." Stewart notes, however, that this is the first case in Kootenai County that he can remember where a felony malicious harassment charge — which was developed by lawmakers in 1983 in response to domestic terrorism by the white supremacist group Aryan Nations in North Idaho — wasn't upheld. As for the kids who were subjected to Sovenski's behavior during the incident, Ceniceros says that they've reacted to the verdict similarly to him. "They've had injustice happen to them before and it's nothing new to them." In fact, Ceniceros had been working with an attorney to file a civil lawsuit against the city of Coeur d'Alene over their alleged mishandling of the entire case. However, in light of the verdict, Ceniceros says he opted not to pursue litigation. "Seeing how this turned out, I doubt ... I'd be able to have it [go] in my favor," he says. The original print version of this article was headlined "Mixed Messages"